But my advice would be not to live your whole life waiting for, planning for, or even hoping for, the next "big crash" (either of the financial system or housing market, arguably the two are joined at the hip in many modern economies). That might sound odd coming from someone who's analysis, speculation and investments led them to buy a lot of precious metals and write under a handle like 'Bullion Baron'. Some readers may picture me as a nutter with a bunker full of long life food, guns and Gold, just waiting to live out the financial apocalypse 'doomsday prepper' style, but the reality is far less intense. I'm not saying you shouldn't be prepared for and insure yourself against financial catastrophe, but once you have done so, go out and live a little. The last significant purchase of Gold I made was in late 2014 (after accumulating in the dips periodically in the 6 years prior). 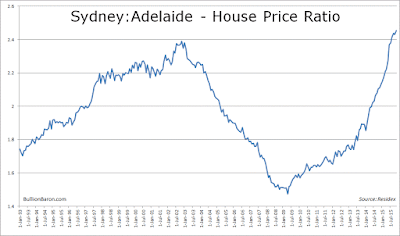 I have recently felt comfortable buying a home again in my local property market, Adelaide. I have also been spending a fair amount of time and capital over the last several months working on a new business venture (one reason my posts here have been less frequent) and with the recent news that the Australian government will be incentivising investment in startups I may continue to put money in this space. In a comparison of renting vs buying (Rent vs Buy: An Adelaide "Cost Comparison" Revisted), the financial burden of buying has fallen substantially over the last half a decade as rents have increased (moderately), prices stagnated and interest rates fell. 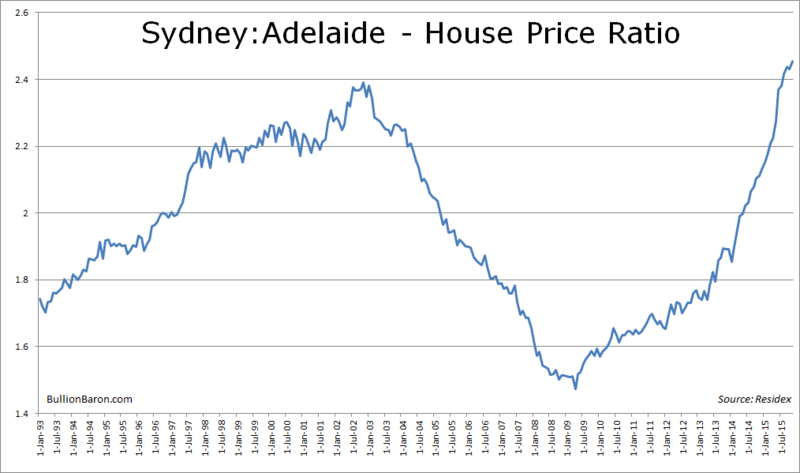 I still think Adelaide property prices have some tough headwinds ahead, the state economy is still struggling (highest unemployment rate in the country) and prices may yet fall again, but I expect them to outperform the likes of Sydney or Melbourne over the next 5 years (even if that means prices fall less in Adelaide). While I'd agree with many housing permabears, that house prices are high in Australia (it is an expensive market, perhaps even a bubble in some cities/regions), they have also remained at elevated levels (relative to incomes) for well over a decade. Whether they correct back to past levels or not should be of no concern if you are treating housing as a consumption good. Despite buying a home and investing in a new business, I still think the risks to the financial system are immense and I'm in no hurry to reduce my exposure to one of the assets that I still expect to flourish as financial instability returns. Wikipedia describes Aomame (and another character in the story) as 'long-lost lovers who are drawn into a distorted version of reality'. I don't think it would be wise to live by the beliefs of this fictional character, rather you should ensure you are prepared for the worst case scenario, but once you have done so live life to the fullest.